Mochi cuisine of exquisite flavors served with the warmest hospitality. Mochi Kitamura was established by its founder as a mochi cuisine and Kyoto-style home cooking restaurant in a building that served as a tea house for over 100 years. The experience of eating refined seasonal dishes in an atmosphere filled with elegance and history is not one to miss. 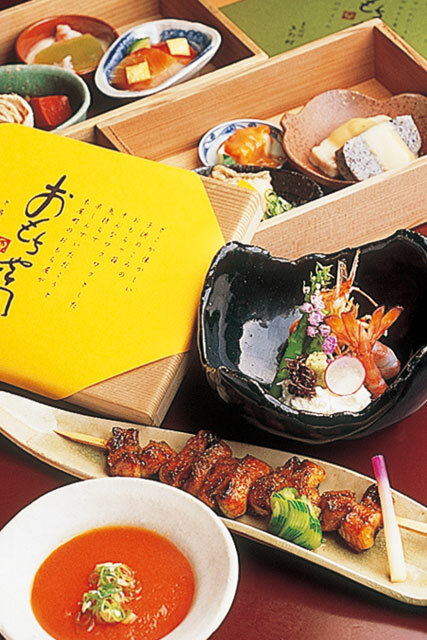 Omakase (chef’s choice) courses that start from 10,800 yen can be enjoyed on the Yuka deck. The “Omochabako (toy box)” contains 7 to 8 small bowls of seasonal cooking and one cannot help but smile in delight when opening its lid. The cold ozoni with rich ankake sauce is a highly-popular choice in the summer season. The cod roe mochi, Mochi Kitamura’s speciality, perfectly combines the rich taste of the roe together with the smooth texture of the mochi. And needless to say, every dish is served with the warmest hospitality. 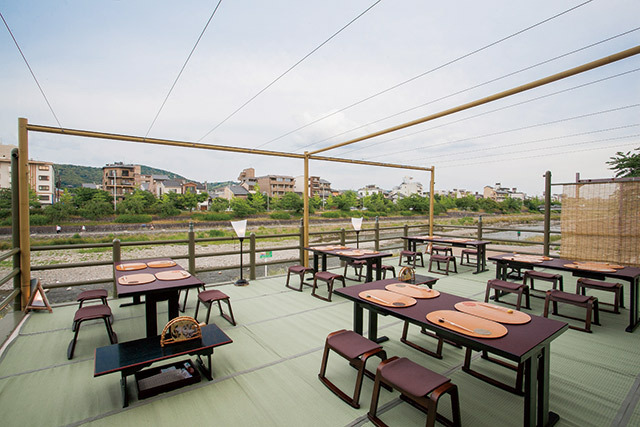 Enjoy chicken mizutaki on a Yuka deck with over 130 years of history. Authentic Hong Kong-style oven roasted chashu pork and dim sum. A fashionable Yuka deck of tatami mats. A sense of luxuriousness that can be experienced by all the senses.